Since around mid-June, gold prices have come under substantial selling pressure. One of the main drivers behind this fall has been the on-going debate about interest rates. While the general narrative supposes that higher interest rates will have a negative impact on gold, I have often stated that this assumption is not correct. The historical record shows that gold tends to rise with nominal interest rate rises – as was seen from 2004 to 2008 and in the 1970s – and the Fed is unlikely to raise rates in any meaningful way while deflationary forces persist. According to the WGC although higher interest rates would make the dollar more attractive to investors looking for higher-yielding assets, the current narrative that this scenario would be bearish for gold is incorrect. It is true that higher real interest rates raise the opportunity cost for investors holding gold. But our analysis of the gold price and previous rate conditions found gold may perform reasonably well in a positive rate environment. Our analysis indicates that gold is only negatively affected when real rates nudge higher than 4%. The current outlook suggests the US rate increases will be moderate and real rates will be below 4% for some time. In addition, markets are forward-looking and the forthcoming rate rise has been well flagged. It would be surprising if expectations of US rate rise were not already factored into the gold price. Gold prices plummeted to five-year lows last Monday due to bear raid conducted by some mystery seller. While many market commentators believe that Monday’s decline in gold began during Asian trading, in actual fact the first wave of selling took place when the equivalent of 24 tons of gold were dumped onto the Globex electronic trading exchange in New York in less than 2 minutes. Data revealed that the volume traded in one minute was 7,164 contracts, which at 100 ounces a contract is about 22 tons. The selling began on the COMEX in the August futures contracton the CME Group’s Comex futures in New York a tenth of a second after 9:29 a.m. in Shanghai. Japanese markets were closed ensuring a minimal amount of liquidity and potential buyers to support the price. Then, an additional 33 tons of paper contracts flooded the Shanghai Gold Exchange. While there appears to be some discrepancy in the figures reported by different analysts and media, the selling knocked the price almost $20 to $1,100 per ounce during those four seconds. It marked the first leg of a dramatic 60-second sell-off that saw prices sink more than 4% to five-year lows. One thing that I am sure about is that the price action didn’t appear to be driven by fundamentals. The nature and timing of the selling suggests that this was not traders responding to a slight strengthening in the US dollar, but was a very well-orchestrated bear raid. Whoever did the selling, the party concerned chose the time when the market had minimum thus being able to slice through the bids in a clear attempt to smash prices and confidence in gold. In the immediate aftermath of gold’s massive price slam, media was quick to attribute the selling to Chinese traders. But the most well-known Chinese funds deniedinvolvement, and as futures trading is anonymous, dealers may never know who was buying and selling during those crucial seconds. In a report issued by the World Gold Council (WGC) the organisation stated. On Monday 20th July 2015, the gold price fell sharply during Asian trading hours. The price declined from a closing price of US$1,134.14/oz. on Friday, to an intra-day low of US$1,086.18/oz., a 4.3% fall. 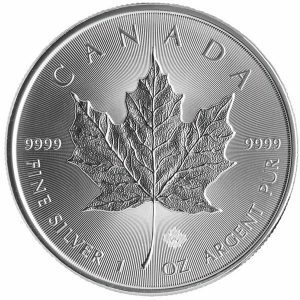 It quickly rebounded to stabilise a little above US$1,100/oz. This fall was precipitated by significant trades on the Globex platform on COMEX and the Shanghai Gold Exchange (SGE). Trading data reveals that 4.7 tonnes (t) was off-loaded on the SGE at 2.29am BST – this is an exceptionally large amount in a short space of time. Normally little more than 40t trades in a day. At around the same time volumes spiked on COMEX. Both trades were made during periods of low market liquidity. Sell orders in China and US triggered the price fall. The price has seen further, less dramatic, declines since Monday. With trading volumes thin, and market sentiment for gold at low levels, the price has now fallen below the US$1,100/oz. level. This is the lowest price level since Q1 2010. The recent price fall, in common with similar price action in the past few years, was triggered by isolated trades. These trades are not representative of the broader supply and demand dynamics. In thin trading conditions, these actions have a significant impact beyond the relative scale/volume of any corresponding net flows; they are often reflective of and can amplify capital market sentiment in the west. But although these traders provide a depth of liquidity in the market, they are not the key buyers of gold. They do not shape demand over the longer term. These types of large gold trades have been a characteristic of COMEX in the past, but they are less typical on the SGE, where trading volumes are lower, albeit increasing quickly. There has been some speculation as to who made the trade on the SGE. The Financial Times drew parallels with similar trades in other metals in China recently, such as nickel and copper. Nevertheless, short-term speculative transactions, divorced from physical delivery and amplified by leverage, are likely to remain centred on COMEX, rather than on exchanges that have been developed to facilitate wider access to physical gold, such as the SGE. In the end it seems as if thereal culprit was a US-based entity masquerading as a Chinese trader. While the price recovered somewhat throughout the remainder of the week, prices fell again on Friday but then later in the day, they recovered to end up on the day. 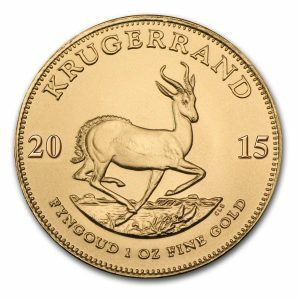 Even though the gold price has dropped below $1,100 per ounce, it is important to note that in many other currencies gold has fared relatively well. In euros, it is now around 1,000 euros per ounce which is still slightly higher than it was a year ago. If you are a European living in Europe and saving in euros, you would have been better off investing in gold one year ago than keeping your money in the bank. And with interest rates near zero and even negative at times in parts of Europe, your euros would not have made any interest of any significance. This current negativity is unwarranted given the reasonable performance of gold this year in currencies other than the dollar. Even following the smash gold is up 4.4% in euros this year. It is also up in Australian and Canadian dollars – not to mention in Latin American currencies which are again under pressure. During the last twelve months, gold in Japanese yen, it is slightly higher than a year ago. It is up by 8.43% in Australian dollars, up by 26% in Brazilian reals, up 1.46% in Canadian dollars, up 5.66% in Mexican pesos, up a whopping 39.8% in Russian rubles and up by 1% in South African Rand. At the same time, it is down by 10% in Indian rupees, down 8% in sterling, down 15.71% in Chinese Yuan and down by 10.56% in Swiss Francs. Physical gold will protect your wealth in the event of a banking crisis, or a financial collapse which I believe is imminent. And, the big news to hit the global gold market was the announcement about Chinese gold reserves. China shocked the bullion market by declaring its official gold holdings for the first time in 6 years. In a statement from the People’s Bank of China (PBoC), China boosted bullion assets to 53.31 million troy ounces, or about 1,658 metric tons. China last reported a figure of 1054 tons in April 2009. With only 1658 tons of gold reserves this would put China in 5th position behind the US (8133 tons), Germany (3383 tons), Italy (2451 tons) and France (2435 tons). But, it is my belief that the US doesn’t hold anywhere as much as stated. In fact, I would be surprised if it actually holds a tenth of what they claim. Frankly, I would be very surprised if the Chinese don’t have significantly more gold than these latest claims. While, I think the current negative sentiment towards gold is unjustified, and set to continue. However, as far as I am concerned, the investment case for gold remains intact. The long-term investment case for gold is not based on short-term price movements. I believe every investor should own some physical gold and have it stored out of the banking system. And, if you have not yet included gold in your portfolio this is probably a great time to buy. It may go down lower, but you will almost never find the bottom. As in the case of gold, the sentiment for silver is largely negative. 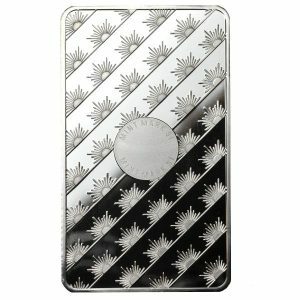 The price of silver is now trading below their 20 and 100 day moving average telling you that the trend remains bearish. 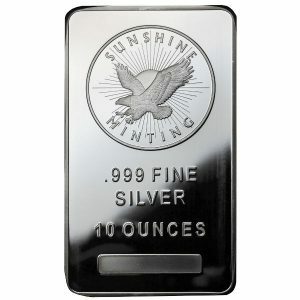 However, the price of silver is now trading below the cost of production of many primary dealers. Almost a year ago, silver prices were $21 an ounce, while gold was around $1,300. 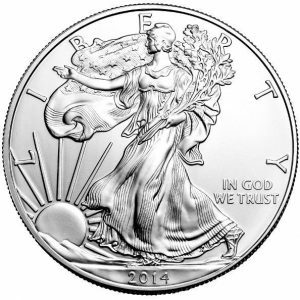 Silver prices are roughly 30% lower than those a year ago. 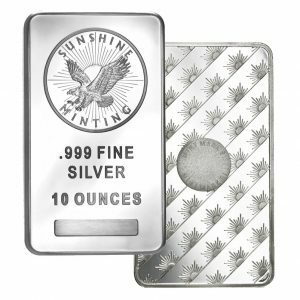 Yet, demand for the silver has remained extremely robust. 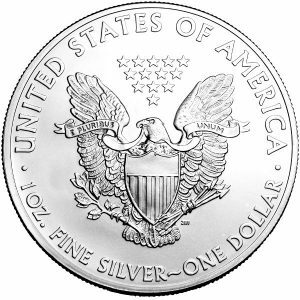 The trend of falling silver prices is expected to continue. Nic Brown, head of commodities research, Natixis, said: “Industrial demand for silver is expected to remain solid over the coming year but in the absence of investment demand, that is unlikely to be enough to prevent prices from falling further. 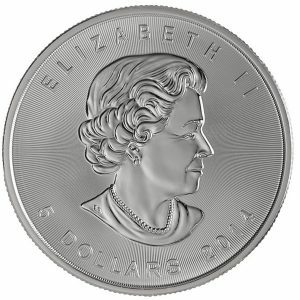 Our forecast for silver anticipates a steady decline to a low of around $13/oz. by the end of 2016.” This means a further 10 per cent down from the current $14.70 an ounce. Demand for silver has seen a significant jump in India, reflected in rising import numbers. In the first half of 2015, imports increased by 35% when compared with imports in the same period last year, to 3,824 tons. Imports were at a record high in 2014, at 6,843 tons. Silver imports usually increase in the second half of the year. 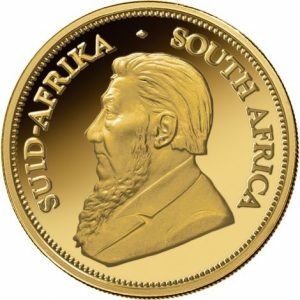 Demand rises from August due to the increase in production for jewellery and silverware ahead of the festive season. Meanwhile, holdings in silver exchange-traded funds have been rising while those in gold ETFs fall, says UBS. The bank describes silver ETFs as “quite resilient,” with holdings rising by 3.76 million ounces so far this month. July is shaping up to be the second straight month of rises for silver ETF holdings, the bank says. In contrast, gold ETFs liquidated nearly 1.13 million ounces over the past eight trading sessions alone, and the net outflow for the month is around 1.23 million, UBS says. Gold ETFs are on pace for the third straight month of liquidations. “The divergence in gold and silver ETF holdings is a trend that has been in place the past couple of years, which is now extending into the current year,” UBS says. “One key driver for this is the difference in the composition of participants – while there is a considerable amount of institutional investor participation in gold ETFs, there tends to be more retail participation in the silver ETF space. I believe that even if prices trend lower, there is not much more downside to them. And, these current price levels represent a major buying opportunity.